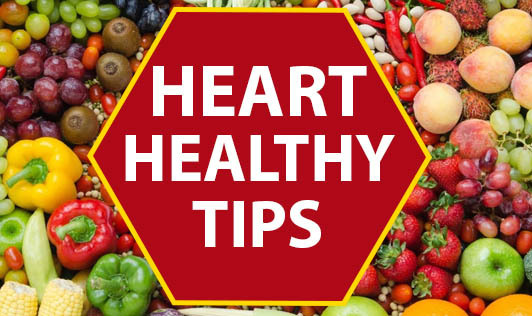 Listed here are some do-able tips to keep your heart healthy and ticking. Choose health-building foods like vegetables, fruits, whole grains, etc. Practice portion control. Do not eat more than what you should. Leave your plate when your stomach feels 3/4th full. Include nuts in your daily diet. Avoid Trans fats and ready-to-eat foods that usually contain Trans fats. Move your body. If you can't find time for regulated exercise, climb stairs, clean your house, take up dancing, gardening or anything that gets you moving. Choose foods carefully when you eat out. Look for hidden traps in food labels. Make sure HDL cholesterol levels are high, and LDL cholesterol levels are within normal limits. Reduce stress levels through meditation, pranayam or biofeedback. Knock off your excess weight and waistline.